ONN is proud to introduce and recommend OPTrust Select, a sector-wide pension plan. Nonprofits can demonstrate they are sector leaders and decent work champions by joining this pension plan. As nonprofits, we play a vital role in the social and economic development of our communities. With a healthier and better-supported workforce, our organizations can lead by example, and be better positioned to strengthen our communities and our province. A decent retirement plan extends the sector’s commitment to building a culture of decent work. As part of its vision for a stronger nonprofit sector, ONN recommends the OPTrust Select pension plan. The plan offers a stable and secure path to retirement. Employers act as partners in supporting their staff through joint contributions. The ONN’s two pensions task forces reviewed the possibilities for a sector-specific plan that is affordable for workers and nonprofits and that minimizes risk, provides adequate benefits, and is easy to administer. 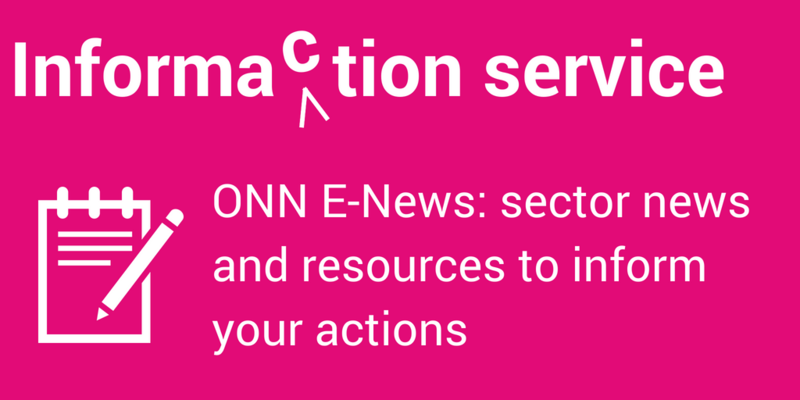 The ONN believes that the OPTrust Select Plan is the best option for the sector as a whole. Visit OPTrust to learn more about Select or to join the plan. Read more about ONN’s earlier work on pensions, including the findings of the first pensions task force (PTF 1.0). 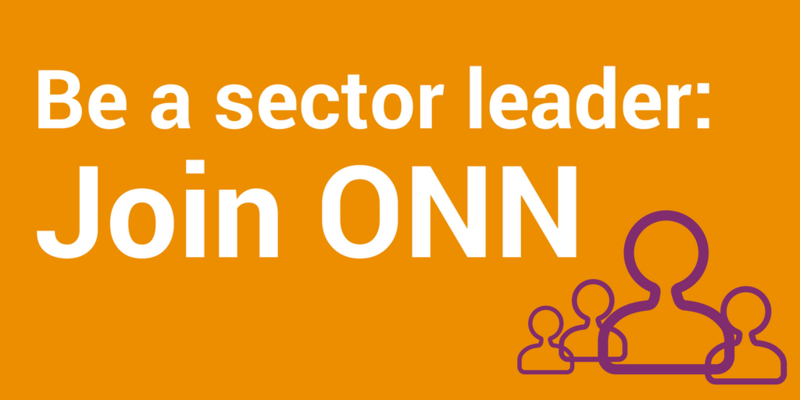 OPTrust and the ONN are pleased they have a collaborative relationship, based on the shared aim of supporting nonprofit workers while limiting the risks for nonprofit employers that provide pensions for their workers. The two organizations are separate and independent of each other, with no organizational overlap or influence. ONN has no involvement in the administration or management of OPTrust Select. Why does the sector need a pension plan? Nonprofit organizations across Ontario have been asking for greater support in providing retirement benefits for employees. A pension plan lets organizations invest in their employees’ future, fostering a culture of decent work that extends beyond their career in the sector. In an ONN survey, fewer than half the respondents said they provided retirement benefits. And fewer than 10 percent said they offered a pension plan for employees. To read more about ONN’s earlier work on pensions, including the findings of the first pensions task force (PTF 1.0), look here. A sector-wide pension plan not only pools resources across a wider range of organizations, but also provides greater flexibility for employees who may work in multiple nonprofit workplaces during their careers. The more organizations sign on to a common plan, the easier it is for employees to maintain consistent and steady contributions towards their retirement – matched by their employers. This plan provides a great entry point into a pension plan for the vast majority of sector employers. It involves a contribution rate that is set, predictable, and affordable to even small employers – and their employees. What is a pension plan, anyway? A pension plan is retirement plan that usually requires employers and employees to make contributions based on a percentage of an employee’s salary. The money is pooled and invested to provide income for employees after they retire. How is a pension different from other retirement products? Other products, like registered retirement savings plans or tax free savings accounts can also supplement retirement income. In general, however, pensions place less responsibility on individual employees (contributions are often equally shared between employer and employee) and offer reduced risk based on economies of scale. What are defined benefits and why are they preferable? A defined benefit pension plan aims to provide you with a lifetime retirement income. You can know in advance how much income you will receive after you retire (until death) based on a formula that takes into account how long you have been contributing and how much you earned over the years. As an employee, how much will I have to pay? OPTrust Select’s fixed contribution rates are three percent of an employee’s salary, paid by the employee. The employer matches this with an equal contribution. For example, if you earn $40,000 a year, you and your employer will each contribute about $3 a day to your plan. You can read more about OPTrust Select pension income here. Can I take this plan to another workplace? Yes – if that organization has also signed on to OPTrust Select. Who runs the plan - and how is it run? The plan recommended by ONN is administered and governed by OPTrust. You can read more about OPTrust Select governance here. Are pension plans risky? Is this plan risky? OPTrust Select is a jointly sponsored pension plan that includes many participating employers. Unlike some traditional single employer plans, it allocates risk across a broader membership base, and shifts responsibility to fund the benefits from the employer to the trust administering the plan. Is this plan available to unionized workplaces? Yes OPTrust Select is available to non-unionized, unionized and mixed union-nonunion workplaces. As an employer, how much do we have to contribute? Will rates ever go up? Employers match employees’ contributions of three percent of their salary. Contribution rates are set at three-and-three and are not variable. The plan is administered by OPTrust. Can I buy back years of service under this plan? Yes, you will be able to purchase past years of service while you were working for your employer and not already contributing to OPTrust Select or another pension plan. Registration is straightforward and you can submit an application online. An OPTrust representative will respond and help your organization with the process.